The Dolichovespula maculata popularly known as the bald faced hornet comes from the same family as that of the yellow jackets. The significant white and black color differentiates it from its yellow brothers. 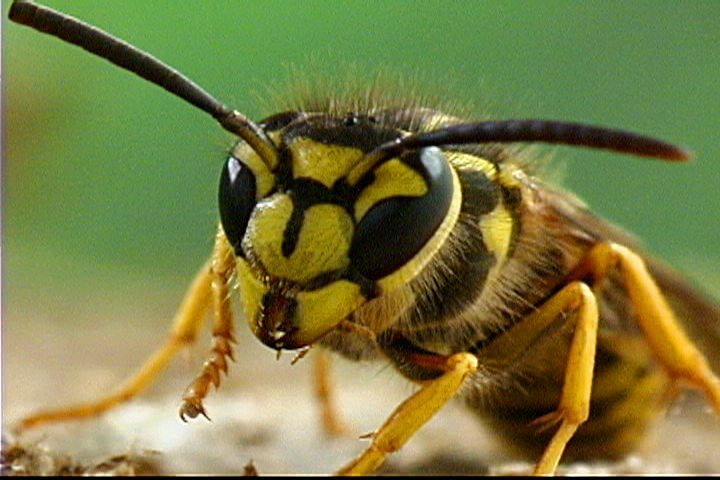 Though popularly known as the hornet, this is hardly one and is technically a wasp. These are less aggressive specimens and hence if they do not come in the way of humans, it is best to leave them alone. This post talks about Bald Faced Hornets Sting, Treatment & Cure. Awareness of these tiny creatures can be the best way to prevent being stung and in understanding the treatment options. Prevention is any day better than cure. 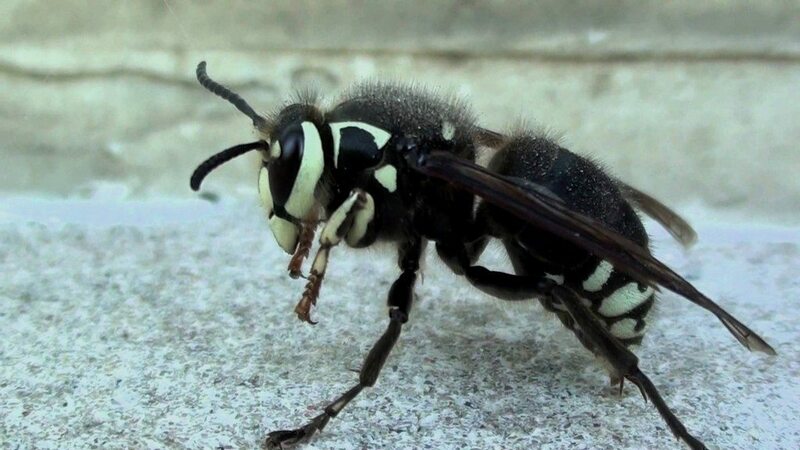 Understanding their behavioral patterns and their living ways can help you avoid coming in their way which is the main reason of bald faced hornet attacks. Mutual existence is possible provided human and bald faced hornets do not collide against each other in their activities. Bald Faced Hornet Sting – Beware! As mentioned above, bald faced hornet can be harmless unless provoked or when they feel a threatened. They are protective about their nests and can sting repeatedly if they feel a potential threat. Any movement within 3 feet distance of their nest is bound to get them excited and they attack on impulsion. Bald faced hornets have a smooth stinger and hence unlike the bees, they can sting more than once and in some cases repeatedly injecting a venomous liquid under the skin of the victim. It is important to remember that the bald faced hornets are not aggressive by nature. But they will do everything they can to protect their nest. Since these hornets attack only when the nest is threatened, you will be wise to remember that a single nest can house about 300 – 400 hornets on an average which means, if they attack, more often than not, you can get as much stings which can become dangerous. These little yet powerful creatures are sensitive to vibrations and can perceive it as a threat. Most people get stung by these insects when they accidentally stumble upon the nests that are hidden in shrubs and trees. Loud noise and string smell can attract stings from these hornets. Though the venom from these wasps may not be poisonous for the commoner, it can potentially turn fatal to those who are allergic to bald faced hornet stings. 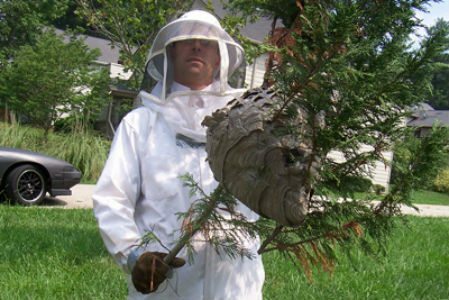 If you spot a bald faced hornet nest near to an area where there is high human activity, then it is recommended that all measures are taken to remove it at once. It is a Youtube Video Uploaded by Victor Poulin where he successfully captured the vicious Bald Faced Hornet and their nest. A single sting can inject venom into the body of its victim and can lead to inflammation, pain, redness, burning and itchiness of skin at the sting site. These reactions are most likely to last for a few hours. They also have the ability to squirt venom into the eyes of the attacker which can blind the nest intruder. This venom can cause temporary blindness in some cases. Stings can also cause formation of hives on the surface of the skin. Some can develop muscle and joint pains and breathing difficulties. The bald faced hornets are known to attack the facial area of humans which makes them a potential threat if they build a nest near to high human activity. For those immune systems that are sensitive to the venom, the reactions can include rashes, inflammation in the throat and mouth region leading to difficulty in speaking. Also, those who are allergic to these stings have a high possibility of going into an anaphylactic shock. For those who suffer multiple stings, the reaction can be higher than usual as the quantity of venom injected into the body is more. You need to watch out for vomiting, fever, dizziness, fainting, headache and nausea. There is a possibility of delayed and complicated reactions that can cause inflammation of blood vessels and nerves and in some cases blood clotting and kidney related issues. Aloe vera gel helps to remove the effect of the bald faced hornet sting. If you have a plant, you can break off a leaf, open it up and leave it directly on the sting. This provides instant relief and reduces itchiness, redness and skin inflammation. Applying a paste of baking soda and vinegar can help in effecting the same result as above. This combination is very effective in drawing out the venom from the skin. Common or broad leaf plantains are fantastic for treating late or delayed sting reactions. Remove the egg shaped leaves from the plant’s base and mash them up. Apply this plantain poultice directly on the sting site. Offers relief from pain, inflammation and redness. Antihistamines like Benadryl can help in reducing the inflammation and pain. Moreover these can help in fighting allergic and toxic reactions to the sting. Epi-pen is another antidote that can help nullify the effect of the sting from bald faced hornets. This can help people who are severely sensitive to this venom and can avoid them going into an anaphylactic shock. Medical care may be necessary in some cases where there are multiple stings or the victim is severely allergic to them. Bald faced hornet stings need to be taken seriously as these can become fatal for some.